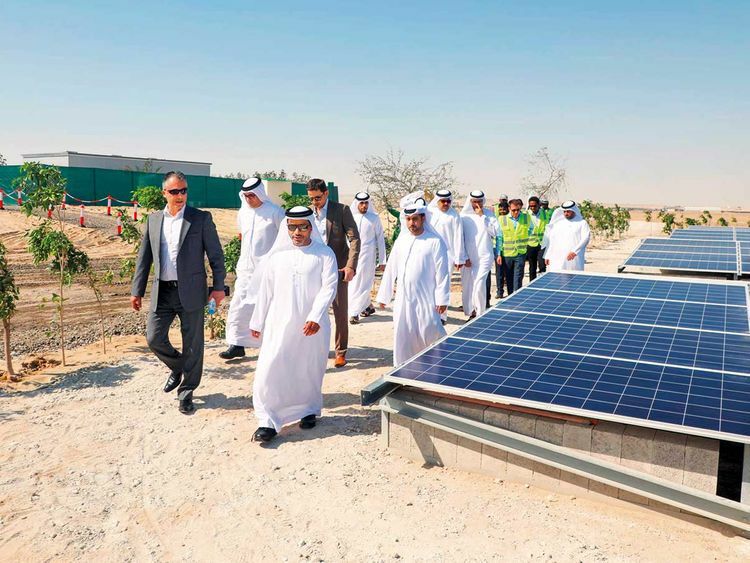 Abu Dhabi: Abu Dhabi Waste Management Centre (Tadweer) opened the first battery solar system in the region at its Al Dhafra Landfill on Wednesday. The 150-kWh photovoltaic plant will help to avoid the consumption of 138,000 litres of diesel and the emission of 117-tonnes of carbon dioxide (a greenhouse gas responsible for global warming) yearly, which is the equivalent of planting 13,000 trees. Dr Salem Al Kaabi, Acting General Manager of Tadweer, said: “This ambitious project aligns with Tadweer’s strategy to run all its facilities on renewable energy through adopting world-class technologies and the latest clean energy solutions. It also reinforces the company’s sustained commitment to preserving our environment for future generations. “In launching this plant,” he added. “Tadweer is taking a significant step towards decreasing the carbon footprint of its facilities while supporting the decarbonisation targets of the UAE Vision 2021, the UAE Green Agenda 2015-2030 and the National Climate Change Plan of the UAE 2017-2050. Tadweer is the key government entity responsible for all activities related to the development of waste management services in the emirate of Abu Dhabi, including the collection, transportation, treatment and disposal of waste in a safe, efficient and economical manner. The centre is also tasked with carrying out pest control, educating communities about the significance of protecting the environment, and encouraging them to adopt sound environmental habits to drive sustainable development.